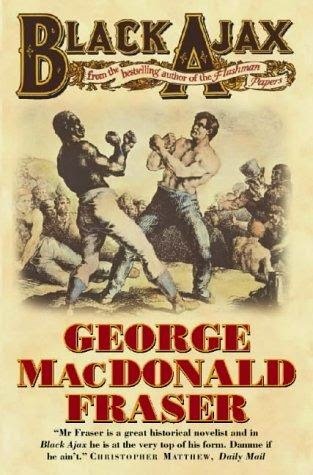 Tom Molineaux, a freed black American slave, becomes a champion boxer in Britain, initially under the patronage of Captain Buckley “Mad Buck” Flashman. Young Bob Logic and his friends Tom and Jerry witness one of Molineaux’s fights. Tom Molineaux was a real person. In Robert E. Howard’s story “The Apparition in the Prize Ring,” Molineaux’s ghost appears to a black boxer named Ace Jessel, whom Matthew Baugh brought into the CU in his story “The Tournament of the Treasure.” Captain Flashman is the father of Fraser’s most famous character, Harry Flashman. Bob Logic and his friends Corinthian Tom and Jerry Hawthorn are from Pierce Egan’s book Life in London. Interestingly, Egan himself appears as a character in Black Ajax, and a footnote mentions his authorship of Life in London, which must have been based on the real life exploits of Bob, Tom, and Jerry.